If you have cracks, chips or other damage to your windshield, you may be putting yourself and your passengers at risk every time you get behind the wheel. Investing in Houston windshield repair services can provide greater safety for you and those you love when traveling on Texas streets and highways. Here are some of the most important reasons to get your windshield repaired quickly after it begins to crack. 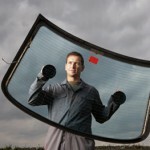 Your windshield provides essential structural support to the roof and sides of your vehicle. If cracks or damage are present in your windshield, this can reduce the structural strength of your vehicle in a collision, exposing you and your passengers to greater risks on the road. Repairing any damage to your windshield quickly can reduce these risks and ensure that you and your loved ones are safer every day. The same cracks that can reduce structural integrity in a crash can also make it more likely that you will be involved in an accident. Cracks and chips can limit visibility and make it more likely that you will miss unexpected obstacles in your path. This could result in a greater chance of being involved in an accident on the road. Taking the time to schedule a Houston windshield replacement or repair service can help you see more clearly when navigating the streets and roadways of Houston. If you are involved in a serious collision, your air bags may deploy to provide protection for you and any passengers in your vehicle. These automatic safety systems require an intact windshield to function correctly. A cracked or damaged windshield may give way rather than serving as a backstop for your air bags, preventing them from providing the most effective protection for you and those you love. 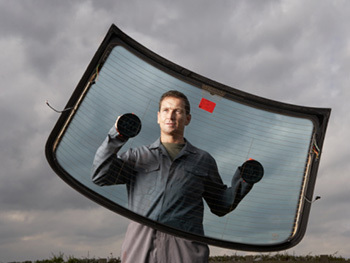 Windshields are also instrumental in keeping people inside your vehicle during a collision, reducing the risk of injuries caused by being ejected from your car. If you need Houston auto glass or windshield replacement services, Apple Glass can provide you with the right Houston windshield repair solutions for your needs. Our skilled glass technicians can ensure the most durable results for your auto glass replacement and repair needs. We maintain brick-and-mortar repair shops in Houston and The Woodlands to ensure the greatest convenience for our customers. If you prefer, we can come to a location you choose to perform your repair or replacement. Give us a call today at 281-296-0600 in The Woodlands and 713-680-1400 in Houston to schedule a free quote. At Apple Glass, we are here to serve you.